These are little bundles of joy. 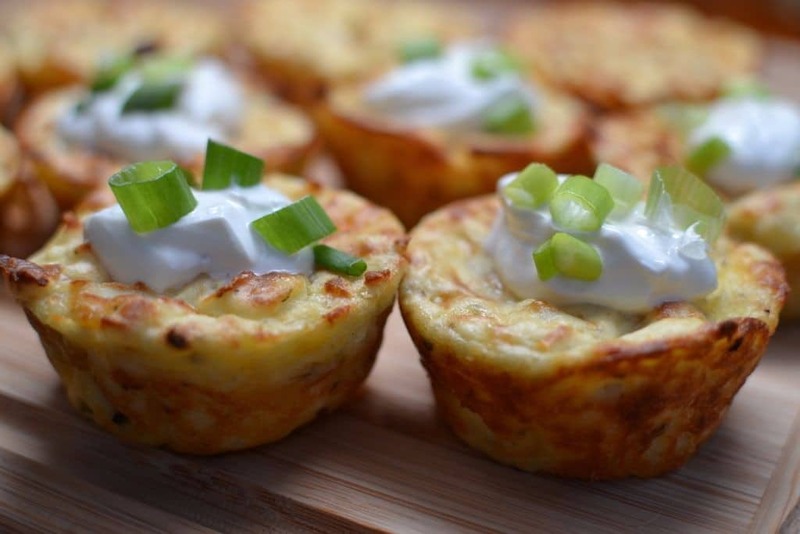 They are easy, delectable and just perfect with a steak, chicken or juicy cheeseburger! You can use leftover mashed potatoes or you can cook some freshies. Everyone knows it is so easy to cook some potatoes. You can do it with the other dozen chores that you have going on! It takes just a few minutes to mix the potatoes with Parmesan, cheddar, some Italian spices, a little bit of sour cream and a few other goodies. Spray cupcake pan well with nonstick spray. Combine potatoes,eggs, cheddar cheese, Parmesan, garlic powder, basil, oregano, 2 tablespoons sour cream and salt & pepper to taste. Divide evenly in the cupcake pan. Bake for 25 minutes turning the oven to broil for the last two minutes to turn them golden brown. Let cool for 10 minutes. Using knife carefully remove from pan. 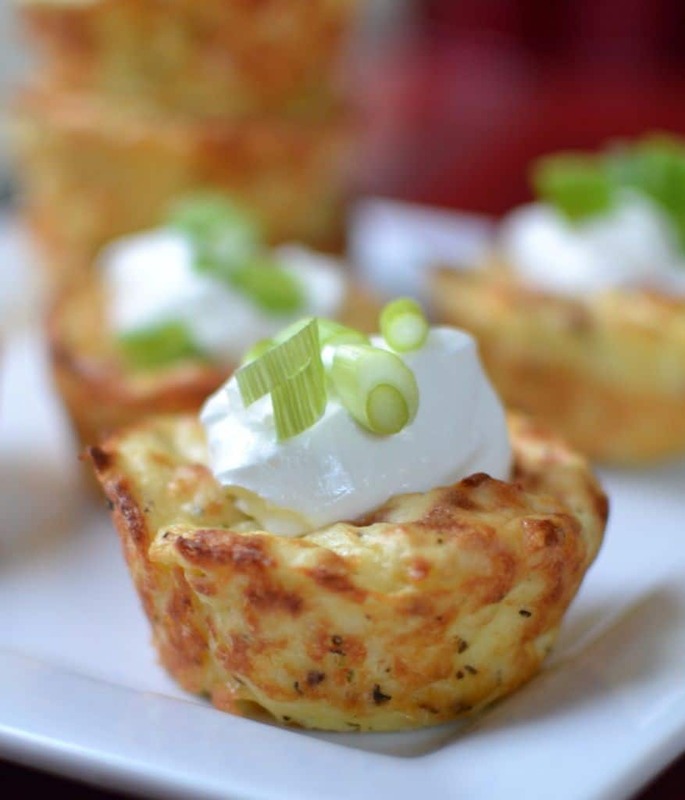 Garnish with sour cream and scallions. One of the ingredients is “3 large eggs beaten” when and where you used them? My apologies. I have had a toothache. They are mixed in with the potatoes,cheddar cheese, Parmesan etc. Thanks for bringing my attentions to this!! You know I don’t think so because they need to be put in the cupcake pan that is sprayed with nonstick cooking spray. Freezing the whole pan would be difficult and making sure the nonstick spray holds would be equally as difficult. I can’t advise it. Sorry! Why not make then freeze???? I have never tried it with this recipe. We are such hogs around here. I don’t know how this recipe would hold up to freezing. Sometimes potatoes dry out and they lose that wonderful crispy side and just end up soggy. However when I make them again I will throw a couple in the freezer and see how it goes. Let me know if you try it first. Can muffin liners be used instead of spraying with non-stick oil? I don’t think that for this particular recipe you should use muffin liners. The potato baking in the pan directly creates a bit of a crispy exterior! Happy cooking! Just a question – how many does this make? I assumed you would use a regular sized muffin/cupcake tin and this recipe made “7” for me – they’re in the oven now and smell great! I just want to ensure this cooking instruction is for regular sized tins, not “mini muffin tins”. I did not see how many this recipe makes. Can you give me an estimate? We used the mini muffin tins and filled them to the top and we came out with 21 minis…? 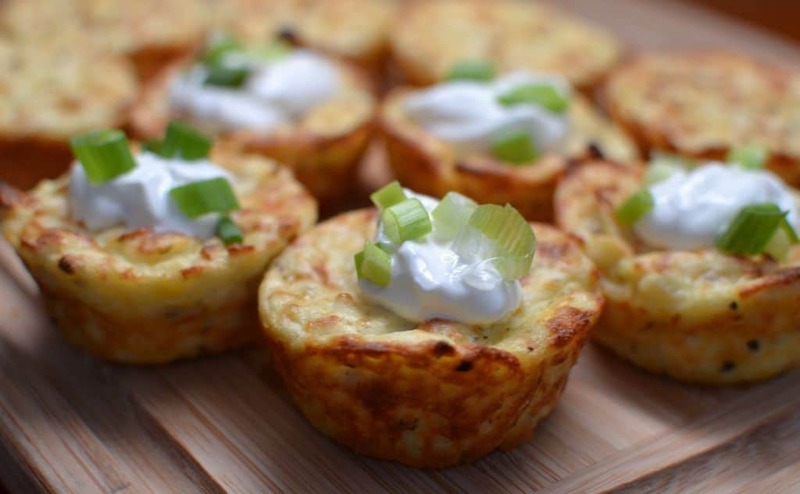 These are perfect for serving guests and look a lot neater than the patties we make. Glad that you like them. Thanks for stopping by. 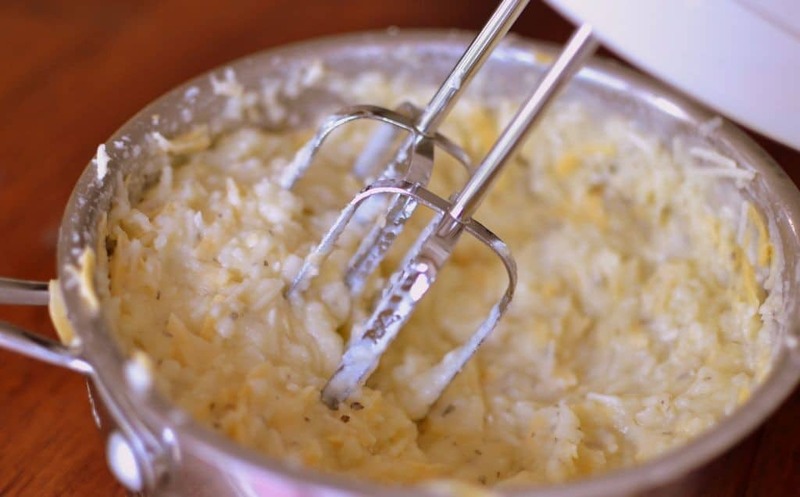 You can also mash the potatoes way ahead of time!! Do you think I could use instant potatoes if I’m in a rush? Sorry not sure. I think so but I can’t promise.